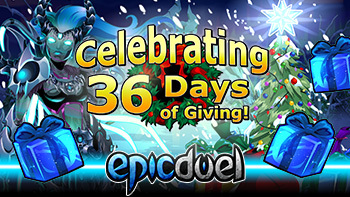 Get ready for gifting! 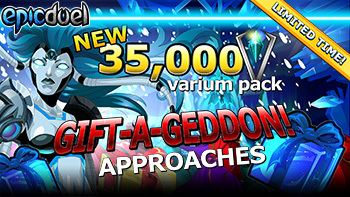 The 35,000 Varium package is now LIVE in-game for 20,000 APs! This is by far the best value we've ever offered so if you want to stock up before gifting without having to reload in December, now is the best time to do it! 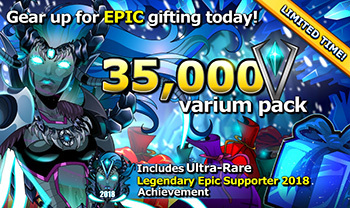 This package also comes with the Ultra-Rare Legendary Epic Supporter 2018 Achievement, and it will only be available for a limited time. This incredible deal will leave the game just as gifting arrives sometime on November 30th, to be replaced by the still-awesome Epic Supporter package and Omega Wolf Pack (yes, we changed the name based on the amazing new concept art from Charfade!). The image above only represents concepts and the package may not include all items or they may differ from the final versions. We'll publish the final versions as soon as they're ready! Special thanks to Titan and Charfade for tagging to help out with this update! It feels good to have them back, even if it's for a little while. Now where's Rabble? As mentioned last week, we've cleared the old rarity point leaderboard to make way for a new system with a new calculation that excludes duplicate items. Those who had at least 100,000 rarity points on the old board should have receive a Collector achievement based on their old score. Those participating in the new board, which should update when the daily cycle refreshes, will receive an evolving Archivist achievement. You will need to visit Charfade to re-appraise your gear to participate! Remember, to climb the new board will require possessing a wide range of rare, not just 100 copies of one. Good luck, and happy hunting! 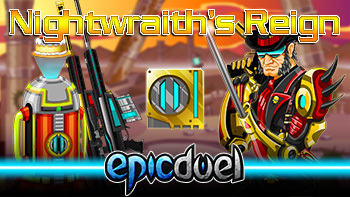 The design notes post last week really set the EpicDuel community on fire with discussion about the possibilities of the new top 10 prize, Epic Wishes. As I expected, some of the ideas went a bit off the rails, and others went off into another galaxy. In order to keep the idea creep contained and make sure I'm not spending all of 2019 fulfilling wishes, we've narrowed the parameters of the wishes. In doing so, we've also expanded the number of winners from the top 10, to the top 15! If you were just out the running last year, this is your big chance! This list isn't necessarily all-encompassing, and if you have a creative idea that can be done within a reasonable deadline, we're open to it! Generally, anything that effects large numbers of players beyond the wisher will not be feasible. This wish is for you! Anything deemed illegal, unreasonable, offensive, or too complicated to fulfill within a reasonable timeframe. Hopefully this list will help you make your decision easier without being too restrictive. We'll work with the winners to make sure their wishes are fulfilled to their satisfaction within the parameters established above. If any winner is found to have cheated, they will not be eligible for a wish and will likely have their account disabled. Stay clean, stay safe, have fun! 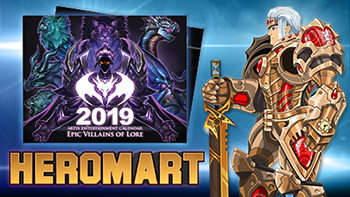 The 2019 Calendar Epic Villains of Lore is LIVE! 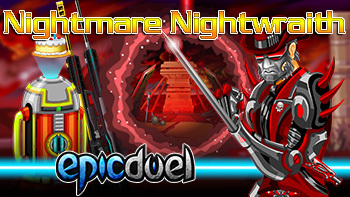 Under the influence of all the villains, this year Corrupted Chronomancer is ready to cause some serious damage. 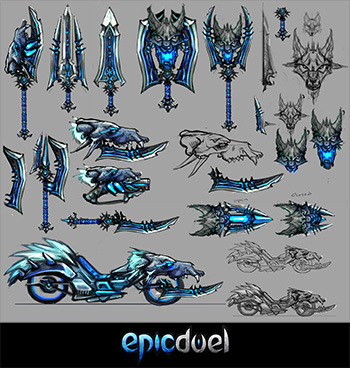 The Collector's Edition includes the Corrupted Chronomancer Armor with the physical and energy Chrono Cluster Swords in EpicDuel! PRE-ORDER NOW! Clash of Legends reward raised from 15,000 to 35,000 credits. Those who've already completed the mission will be compensated. Please allow some time for this as it is a holiday weekend.